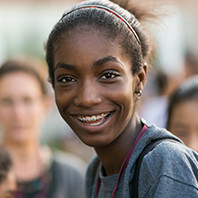 Admission to The Steppingstone Academy or the College Success Academy is selective. The strongest candidates are hard-working, motivated Boston residents who enjoy being challenged and would benefit from an intensive academic program. 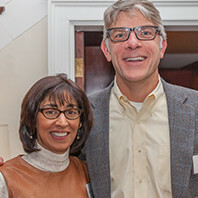 The Steppingstone Academy and the College Success Academy prepare and support talented underserved students intent on getting their college degrees. 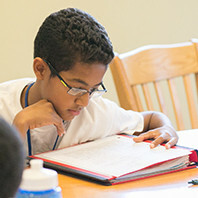 The Steppingstone Academy serves middle-school students from Boston who plan to attend selective independent, Catholic or public exam schools. 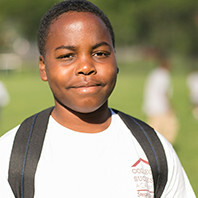 The College Success Academy serves middle-school students enrolled in partner public schools in Allston-Brighton and East Boston who plan to attend a district Boston public high school. It’s not just about getting in. It’s about thriving and graduating. 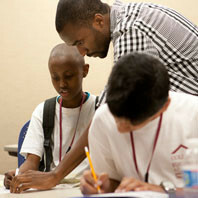 Steppingstone makes sure the right match is made between the schools we partner with and the students we prepare. Our dedicated team of advisors and counselors help Scholars make educational choices that are right for them and for their families. Motivation. Hard Work. College Success. It is Steppingstone Scholars’ love of learning, persistence, and willingness to tackle tough challenges that truly yields their success. Students and families that enroll in our academies commit themselves to years of academic preparation and focused work readying for college. 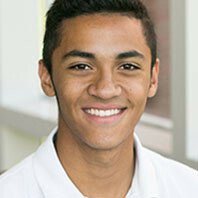 Whether they complete 14 months of academic preparation through The Steppingstone Academy or five years of academic preparation with the College Success Academy, their diligence and their dedication continue throughout their high school and college careers. 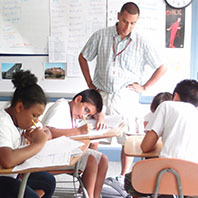 Steppingstone’s advising, counseling, and college-readiness services support them from middle school, right through college, to assure they continue to thrive academically and socially, at every stage. 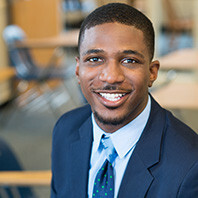 Since 1990, 80% of Scholars who have completed their academic preparation with The Steppingstone Academy have gone on to earn an undergraduate degree within six years.